Posted by Mike Gospe in Integrated Marketing, Positioning. Product positioning is not what you do to a product. Positioning is what you do to the mind of the prospect. So, how do we influence that, exactly? How to boost your teamwork skills. The positioning statement is not just a template. It embodies an entire approach that puts the customer in the center of your universe. 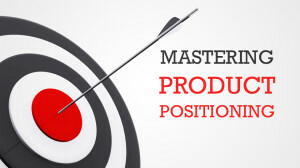 I’ve written a lot on this subject in the past, and now I’m pleased to introduce you to a new online course entitled, Mastering Product Positioning. This new online course teaches you everything you need to know about positioning statements. Specifically, you’ll learn how to work cross-functionally to build them, critique and tune them, and apply them to your products and business. Mastering positioning statements is a skill that every marketer needs to have complete confidence in. Whether you are a novice to marketing or a veteran, this course will help you hone your skill set. And these skills will help you become a better marketer and a more valuable executive. Check it out. Preview some of the lectures. Let me know what you think. Posted by Mike Gospe in Positioning. Since the term “positioning statement” has been consistently the most often searched term on this blog, I’ve posted a short video on how to build a positioning statement. This material is taken directly from my book, The Marketing High Ground where you’ll find more examples, templates, techniques, and case studies that you can apply to your business. Let me know your questions or other topics of interest and I’ll post additional materials. Looking for tips and templates for building a “positioning statement”? Check out my mini-guidebook: The Marketing High Ground series: Positioning Statements. 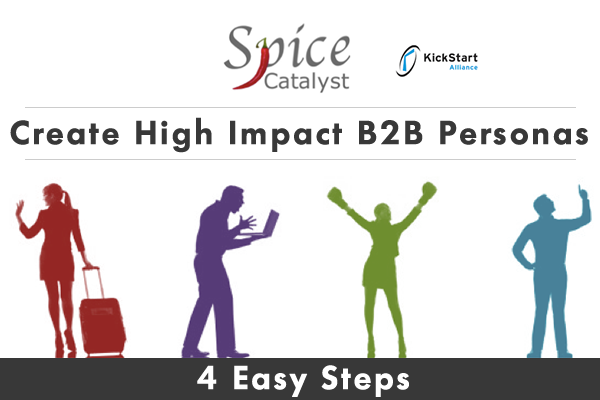 This guidebook reflects much of the best practices shared on this blog as well as my Marketing High Ground blog. This action-oriented mini-guidebook provides everything you need to work the exercise with you colleagues. You’ll find background information on the exercise, examples, techniques, and tips for working cross-functionally. Not only will you discover how to build a strong positioning statement, you’ll learn how to critique your work. And perhaps most importantly, you’ll learn how to use the positioning statement tool to successfully navigate internal political discussions that can derail your marketing campaigns. For those of you interested in more information on positioning statements and how to craft them, I’ve posted a set of slides for your perusal. More details on how to effectively work cross-functionally to complete the template, critique your work, and share and defend your positioning statement with internal audiences, please refer to the mini-guidebook: Positioning Statments: a guidebook on how to build, critique, and defend a positioning statement. Posted by Mike Gospe in Leadership, Positioning. I’ve been watching Simon Sinek giving a TED talk. This phrase comes from him. And I love it. This dovetails exactly with the positioning statement. What he says in 20 minutes, speaks volumes about good, product positioning and meaningful customer-ready messaging. He paints a picture he calls “the golden circle” that includes the What, How, and Why of a company’s reason for being. Most companies, he says, are very familiar with “what” they do. They are even good at understanding “how” they do it. But, when it comes to “why” they do what they do, there is a pause. What’s their purpose? What are the beliefs that drives a company to do what it does? Are they in business just to make money, or are they driven by a belief shared by all employees? He shares an example contrasting Gateway with Apple. Both companies have access to capital, access to brilliant minds and innovative staff, and can tap into the same market conditions. Yet, the way these two companies communicate are completely opposite. And their relevant success is obvious to everyone. 1. We make great computers. 2. They are simple to use and affordable . 3. Want to buy one? 1. Everything we do, we believe in challenging the status quo. We believe in thinking differently. 2. The way we challenge the status quo is in hiring people who share the same belief and by making products that are beautifully designed and easy to use. 3. We make computers, phones, and a variety of personal productivity tools that challenge the status quo. Want to buy one? The secret is that Apple focuses on the “why” question first. Simon also shares the example of Samuel P. Langley vs the Wright brothers. Langley was driven to become rich and famous and saw the invention of the airplane as a goal to achieve his wealth. Orville and Wilbur believed that flight would change the world. They didn’t work for a paycheck. They worked for a belief. This is exactly why the world knows the Wright brothers and don’t know Langley. The lesson is clear: when you draft your company’s positioning and messaging, start with the “why”. What do you believe? Because if you don’t know, then your customers won’t either. Posted by Mike Gospe in Positioning, value proposition. 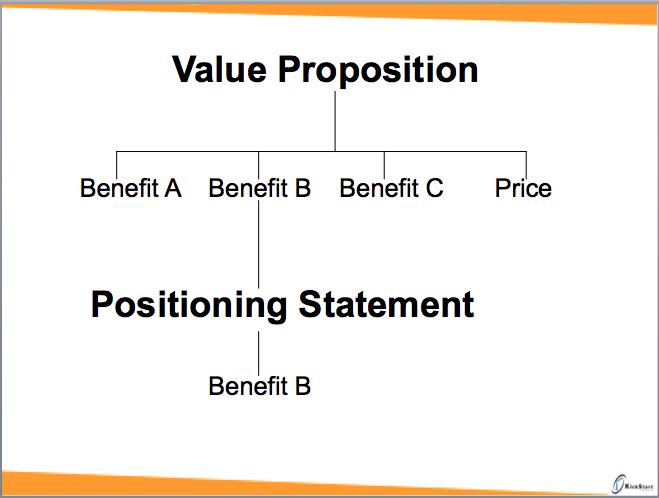 Confused about the difference between positioning statements and value propositions? You’re not alone. These terms are often used interchangeably, but they mean very different things.